Jupiters Casino has come a long way since first opening its doors to the public in 1986. Thanks to changes in ownership and extensive ongoing renovations, the current property would be almost unrecognisable to its early patrons. The 24-hour casino boasts a 6,000 square metre gaming floor with over 1,600 electronic games and 70 gaming tables, but that's merely a starting point. 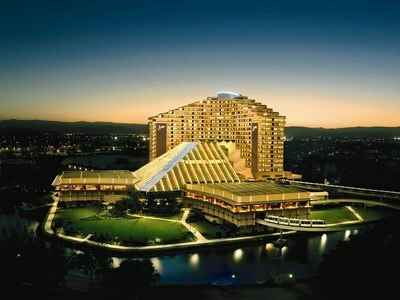 The Gold Coast casino has sensational restaurants, unforgettable bars, and a 596-room luxury hotel. It doesn't matter if you plan on hitting the roulette tables or just want to catch great bands in the theatre, you'll definitely agree that Jupiters is out of this world. Jupiters Hotel and Casino gives you more than one way to enjoy roulette. Obviously, traditional roulette tables hosted by proficient croupiers are the most popular. You'll find over 70 tables on the gaming floor with roughly 15 dedicated to roulette. The makeup of the gaming floor changes all the time to meet player demand and not all tables are necessarily open. During a recent Thursday night visit, the roulette tables were quite crowded. All of the roulette tables at Jupiters Casino are of the European variety. That's great news for anyone who cares about the odds and wants to diminish the house edge as much as possible. Roulette betting minimums have shifted upwards in recent years and Jupiters tends to be costlier than other Australian casinos. That might be because it's the only place in Queensland to enjoy table games. Prepare yourself for $5 minimums, which may rise further during prime time. Higher minimums are designed to deter more casual players. Yet the games continue to be packed on evenings and weekends. If you want to play more affordable games, Jupiters Hotel And Casino also offers electronic roulette. The interface is reminiscent of internet gambling sites, but you'll be able to enjoy the atmosphere of the casino as you gamble. Electronic roulette is great if you want to play in comfort or don't like the pace of the tables. Given the crowds around the tables, more players are embracing electronic games. High rollers will want to take advantage of the casino's three private gaming areas, which are perfect for anyone who appreciate personal attention in a sophisticated atmosphere away from the disturbances on the main gaming floor. While you generally need an invite to access the VIP area, qualifying out of state and international visitors can gain entry at management's discretion. As we mentioned earlier, you'll find over 70 table games at Jupiters Casino. 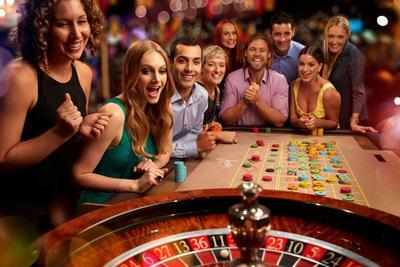 Besides roulette, players can enjoy three card poker, Caribbean stud, Texas hold'em bonus poker, craps, sic bo, Jupiters 21, blackjack, blackjack challenge, baccarat, the wheel, and casino war. If community card poker gets your pulse racing, you'll find regular Texas hold'em tournaments and cash games. The gaming floor features more than 1600 gaming machines. Whether you prefer pokies, keno, or digital versions of top table games, you'll have plenty of choice. You can even play for huge jackpots with networked progressive games like Double Shot, Golden Dollars, Dinomight, and Lightning Cash. Jupiters Gold Coast participates in the Absolute Rewards program. It's the same VIP loyalty program that you'll find at The Star Sydney and Treasury Casino & Hotel Brisbane. Like most gambling rewards programs, you can earn points whenever you play, stay, drink, or dine at a participating casino. When you rack up enough points, you'll be able to redeem them for free luxury accommodations, meals, casino chips, and fabulous gifts. Your Absolute Rewards membership also gets you access to private gaming areas, free parking, concierge service, special discounts, and other perks. An Absolute Rewards membership is the only way to enter the frequent cash giveaways. With free draws, you can win thousands every week. Be sure to sign up for the Jupiters newsletter to be in the loop promo-wise. Jupiters Gold Coast offers outstanding restaurants with menus to satisfy just about any palate. 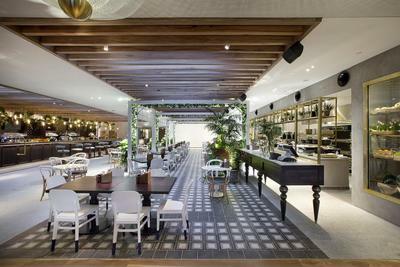 Garden Kitchen & Bar is famous for great steaks, seafood, and continental fare. Cucina Vivo brings you the taste of Italy in a gorgeous outdoor setting. Kiyomi serves modern Japanese fare, while Zen elevates Chinese Food higher than the Great Wall. Food Fantasy will help you realise your buffet dreams with hot and cold dishes that span the globe. Visit Bite for a quick meal or nourishing snack on the casino floor. If you're looking for a cocktail, glass of wine, or craft brew, you'll find five great bars at Jupiters. From hotspots like Atrium Bar and newly christened Outdoor Bar to the popular Grandstand Sports Bar, it's not hard to feel at home. With 596 luxury rooms, Jupiters Hotel and Casino offer some of the Gold Coast's best accommodations. With its central location on Broadbeach island and magnificent vistas of the hinterland as well as the Pacific, Jupiters is a fantastic place to stay even if you aren't interested in betting. The property also features a palatial pool with available cabanas, professional fitness centre, great shopping, and a therapeutic massage parlour. Jupiters Gold Coast offers great entertainment beyond the casino floor. The concert calendar is filled with Australian and international sensations from the spheres of music and comedy. You'll also find great shows paying tribute to popular acts like Queen, Springsteen, and The Beatles. Visitors can also count on great live music and DJs around the property just about every night of the week. It's easy to get your groove on or get lost in the music. The casino currently screens the latest Hollywood Hits every Monday and it's free from Absolute Rewards members. Jupiters Hotel & Casino accepts a whole host of Australian-friendly banking options. These include Visa, Mastercard, Maestro, PayPal, POLi, Neteller, Ukash, ClickandBuy, and many more.